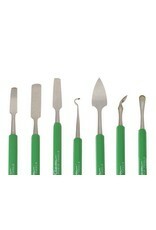 This set offers a wide variety of shapes for basic clay carving and modeling. 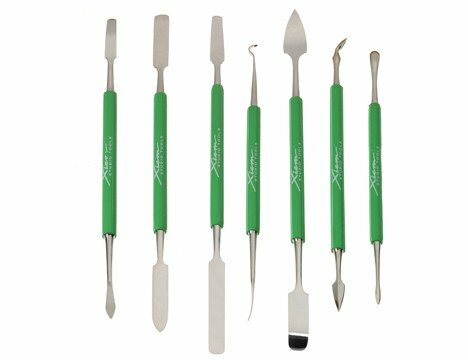 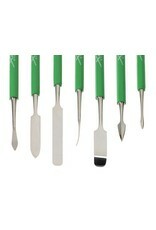 Many of these tools allow you to refine forms to your exact needs and can be sharpened. 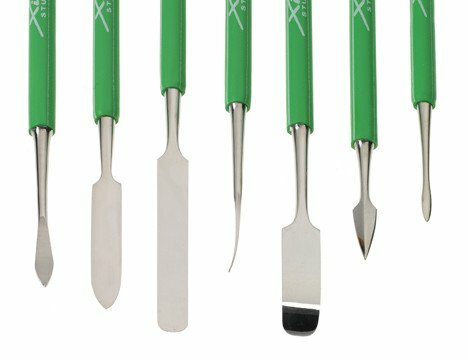 Each tool is double-ended and handcrafted from high-quality stainless steel to ensure a precise cutting edge. 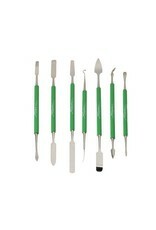 The green rubber handles are easy to find and provide a comfortable, secure grip. 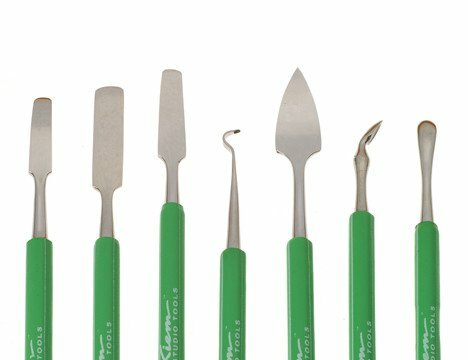 Without glue or assembled parts, these tools are made for life.